Not long ago I was working on a piece I was pretty sure was about the woman who founded forensic science. My editor, however, pointed out it was also about the struggles of women past a certain age, who are pegged only as grandmothers, lacking usefulness. Her comment made me realize: I usually write about the experiences of women whom society sees as past their prime. This shouldn’t have been a revelation: I write a monthly magazine column about intergenerational dialogue and have a degree in women’s history. Yet the new awareness of my specific focus has already helped me prioritize projects and pitch pieces to new outlets. While much has been said about how writers must ‘build platform,’ in the sense of becoming a marketable expert on their book’s subject, this thematic focus seems more like a beat—that is, developing authority while writing on a number of related topics. So how do you create your beat? How can you nurture it? Maisha Johnson has worked as a domestic violence survivors’ advocate and holds an MFA in poetry. She writes primarily about abuse and healing, race and racism, and intersectional feminism, as well as everyday ways we come across these topics, like pop culture, creativity, and identity. Articulating these intersections helps her deepen the lens and purpose of her work, and define who she is as a writer. A writer’s beat ties into their social media presence, but isn’t just a marketing construct. Maisha says it can be equally important to unplug. Because I work around issues like racism, trauma, and abuse, I know being constantly plugged in is going to take a toll. But also [I can’t be] totally absent from trending conversations. So I’ll use a social media tool like Hootsuite, and schedule articles I see trending from other writers. I’ll also add older [or evergreen] articles of my own that relate to the current topic. I don’t have to be on the cutting edge of every conversation in order to maintain a digital presence. less hoop-jumping and more mountain-scaling. I am a slower writer than many freelancers I’ve known, who are churning out essays and stories along with news cycles… I can’t keep up with that pace, so when I’m writing standalones, I have the luxury of bowing to what’s really screaming at me. It may not be the hottest trending topic, but every so often you have good timing and what you’ve been obsessed about is in sync with the rest of the world. Relevance can be serendipitous, Tabitha says. Sometimes the fire comes totally from left field…[for example], a little essay I wrote for a now-defunct food site about my tendency to steal things like condiments, pint glasses, and steak knives from restaurants stirred up this big viral trollstorm. How do you decide what to focus on? Maybe you already see a common thread in your work. You might make decisions based on pragmatic goals for publication in particular venues, or by paying close attention to what makes your writing flow and what works best for you and your work specifically. I jump at any opportunity even remotely related to aging, because juggling multiple projects keeps me on deadline. Maisha keeps a list of potential articles, prioritized by what she’s most passionate about. 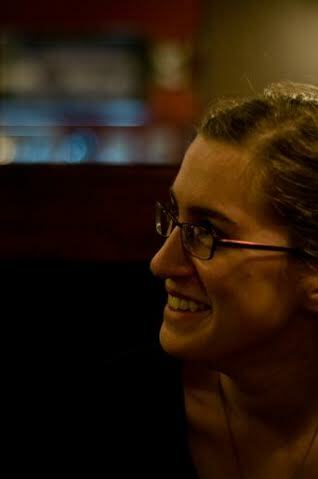 Hillary Moses Mohaupt serves as Social Media Editor for Hippocampus. She holds an MFA from Pacific University in Oregon, and her work has appeared in The Writer’s Chronicle and Distillations. In her fiction and essays she frequently writes about the presence of the past, intergenerational relationships, and lying. Follow her on Twitter @_greyseasky_. Nice work Hillary. Thank you for this, for reminding us that sometimes what we think we are writing about is not what we are writing about and the need to respect what we can accomplish. Also thank you for personally emphasizing the need to be true to our unique awareness and perspective of an issue. Yesterday I was asked if I still had any power as former department chair. The person who asked was alarmed at how badly things were being handled and wanted to see specific improvements, the return of policies and practices that had been in place before I retired. Earlier I attended an ongoing day-long educational workshop in which we were instructed in “new” practices which I have utilized for three decades. Further, one of the people promoting these practices had declared them “ridiculous” when I first tried to promote them in the 90s. But I am 65, mostly a volunteer, and the last time I complained about the erosion of standards, I found myself yelled at for being “quick to anger.” That accusation came from a man, standing over me. Needless to say, I was not the one yelling. Here’s are most important things I know about teaching: Break it down and teach each part in relationship to the whole, respect each student and that student’s ability to perform, set high standards and they will rise. Making assignments easier and easier only encourages mediocre work, it denies excellence, and it misunderstands the fundamental goal of education. Make them aware of their strength by making them stronger. Thank you. Here I am thinking about what I know and how I know it and yes, I will write about that, and then I will go talk to the powers that be about getting something accomplished. My beat. Sigh. Sorry for the typo. And also my personal hello from one Pacific MFA graduate (2007) to another. You are currently reading On Beat at BREVITY's Nonfiction Blog.